It's that time again. Oh yes it is. 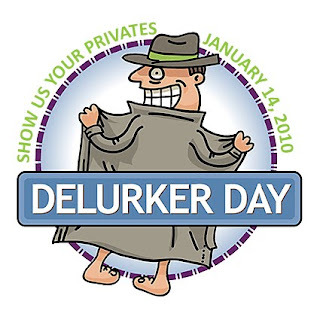 National Delurker Day*. And this grand day just happens to be the 800th post that I've written. Woah. That's a lot of blog. So tell me, dear friend, are you a regular reader? Did you find me of your own accord? Or were you sent here? Will I get to meet you at the Casual Blogger Conference? Or should I just keep pretending you match the persona in my head? Tell me what you will, the comment section is yours.